Among the many of great traditions in this country is the preservation of cuisines from among the broad variety of cultures and nationalities that we compose. Some foods among more recent populations provide an authentic origination to recipes from native homelands such as the Pupusa, the national dish of El Salvador. The Pupusa recipe shared with us today by Cookbook Author, Alicia Maher, is one long held between her family and ancestors throughout time. The Pupusa is a corn masa pancake of sorts with a savory center filled from among any variety of combined ingredients including refried beans, shredded pork, chicken, shrimp, squash, or Salvadoran cream and shredded cheese as we use in today’s recipe. Fried about five minutes on each side using a hot griddle once finished, Pupusas then served alongside Curtido, a fresh pickled cabbage and vegetable side dish mixture complement the traditional Salvadoran specialty. Maher’s Cookbook, Delicious El Salvador has received a tremendously positive response from its initial release at the opening event held at the El Salvador Consulate in Los Angeles in early April of this year. Maher additionally received a Congratulatory Salute from the city of Los Angeles for her commitment in preserving and documenting the cultural foods maintaining a heritage among the home of the most Salvadoran people outside of El Salvador. The most recent exciting news for Alicia Maher is her invitation to feature Delicious El Salvador participating in Gourmand International World Cookbook Awards highlighting from among the 2014 Best Cultural Food and Wine Cookbooks of 2014 around the world. You can check out Gourmand International Highlights here. Such a designation will go beyond the opportunity to sell many cookbooks, it will also serves as a representation of acknowledgment and a means to share the foods of El Salvador throughout the world. “It is a great honor to me and for my country that Delicious El Salvador will be represented in the Paris, France 2014 Gourmand World Cookbook Awards and I’m very happy for the opportunity to showcase the cultural cuisine of the Salvadoran people.” She said. For most of Alicia’s childhood she lived in El Salvador where she was born before arriving to the US in 1986 residing in Los Angeles most of that time. Alicia has traveled a long road of experience in the preparation of authentic Salvadoran dishes from early childhood learning techniques and preparation of these traditional foods beginning with her grandmother and aunts then expanding out to extended family and friends spanning generations. Along with inspiring a passion within, taking part and sharing in the preparation of these ages’ old traditional foods has always been part of a lifestyle, both a means of sustenance and that of marking important occasions in Alicia’s life and those throughout the extended Salvadoran circle. 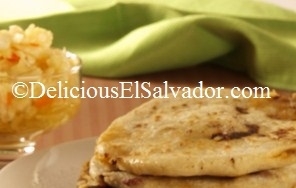 Delicious El Salvador has in its process assisted in reconnecting many Salvadoran people with the home cooked foods of their native land. Through clear, easily read instructions Alicia Maher’s recipes in the cookbook have provided the opportunity for others to experience more regularly these specialty dishes by bringing to life the cultural home cooking of past and energizing specialties back into many Salvadoran home kitchens throughout the community and beyond. Beyond the Salvadoran community is a Delicious El Salvador filled with many flavorful and interesting dishes easily enjoyed among people everywhere such as the stuffed Pupusa that Alicia Maher shares with us today. The Pupusa is easily prepared following the directions carefully even on a first try, though as with everything, a little practice will help develop the technique. 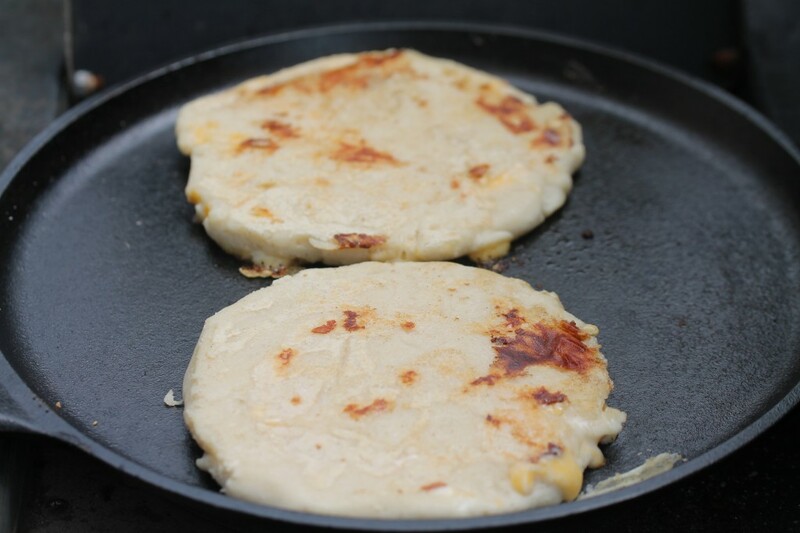 The Pupusa has quite an interesting history, traced back to the Indigenous people of El Salvador called the Pipil’s connected with the invention of this corn-based pancake. The well-known archeological site in the country called Joya de Ceren was once a living Pre-Columbian village of the Pipil’s later completely covered with volcanic ashes. With the approximate 600 AD volcanic eruption, two thousand years ago, causing the people to flee so quickly, the entire village area under ash stood motionless in time fully preserved. Remains provide insight into former life activities even in rapid flight, including cooking utensils and foods, among them, Pupusas. 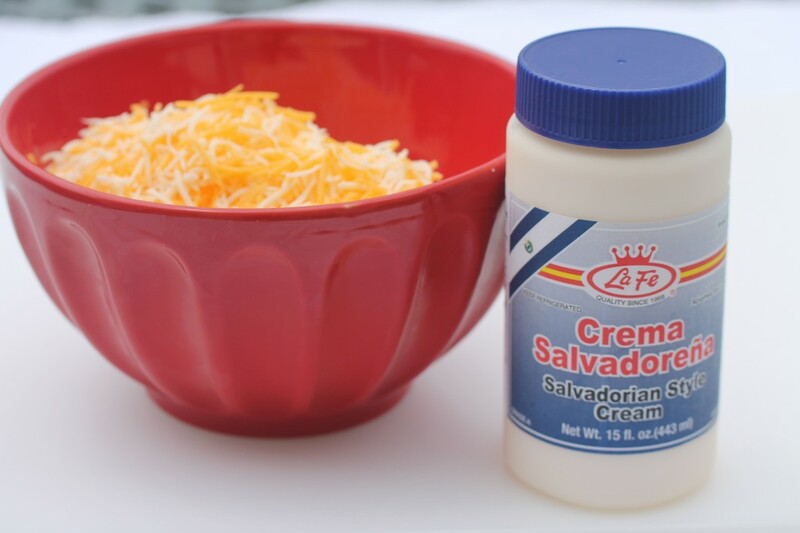 Both the Corn Masa Flour and the Salvadoran Cream, which resembles a consistency somewhere between sour cream and mayonnaise are both easily found at Supermarkets that carry Latino ingredient selections. I wanted to give it a try filling the dough well as shown above rather than layering one pancake on top of the other first filling one side with selected ingredients. It worked out well but when grilling a bit of the cheese mixture oozed out, still a few tries can solve that. Pupusas can be enjoyed anytime including in a lunch box, and easy street food, even an afternoon snack. With no oven access at the time, I heated the griddle on the side burner of my grill outside and served them up on small plates with Curtido and they were quite a hit. 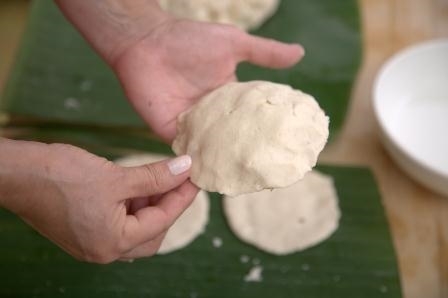 Thanks to Alicia Maher for providing us this lovely story and recipe of Pupusas with Curtido, and for sharing with us the culture and authentic foods that extend the culinary heritage of ‘Delicious El Salvador’. 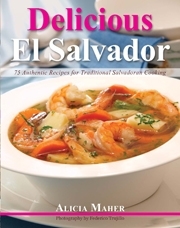 You can purchase a copy of Delicious El Salvador through Amazon or directly at the Delicious El Salvador web site. Combine the shredded cheese and cream and refrigerate. Before starting the masa for the Pupusas, bring out the prepared filling and let it stand at room temperature for about 30 minutes, the filling should be soft for use. 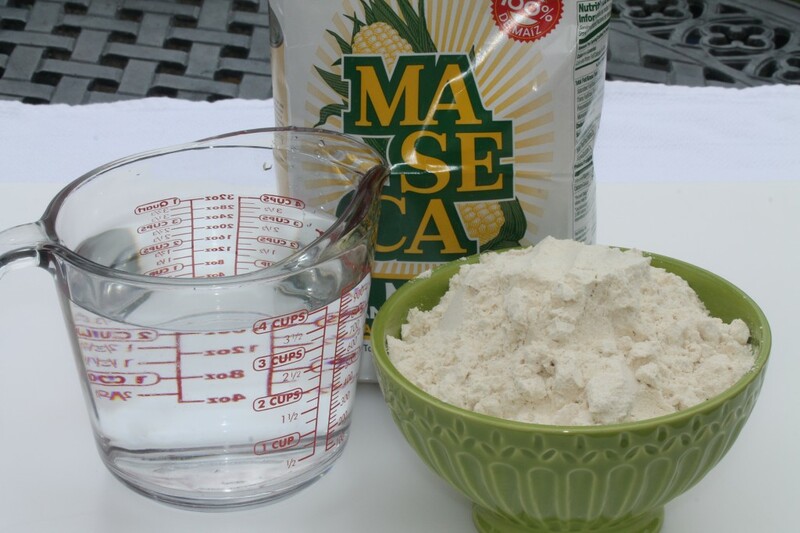 Place the corn masa flour in a shallow bowl. Mix in the water, 1 cup at a time, kneading by hand for about 10 minutes until the dough is moist and fluffy. 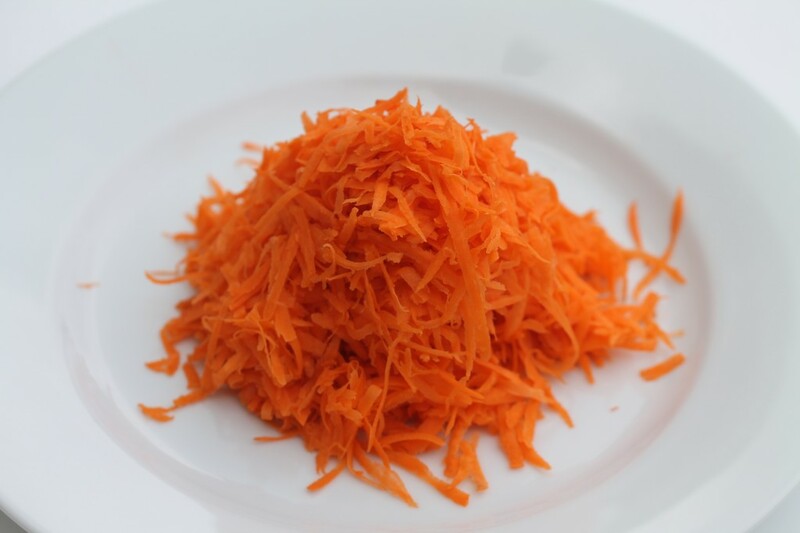 If needed, add more water 1 tablespoon at a time. 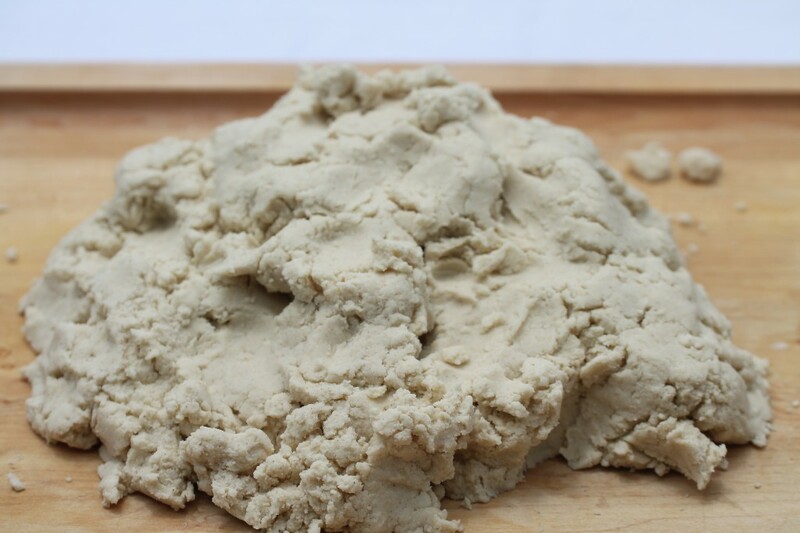 The dough can be prepared the day before, if covered and refrigerated. 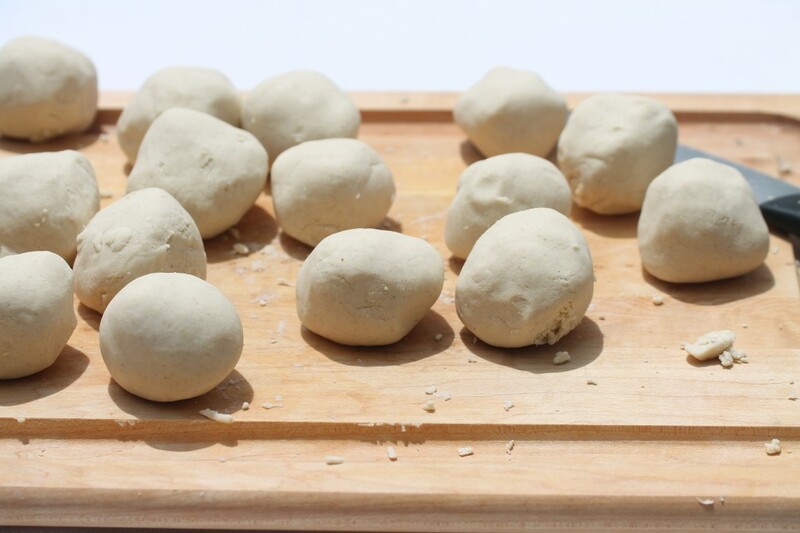 Divide the dough into 12 equal small balls. Divide the filling equally for the 12 pupusas. Take the dough ball in the palm of your hand, pushing the center of the ball with your fingers to make a well. Fill each pupusa with the cheese filling. 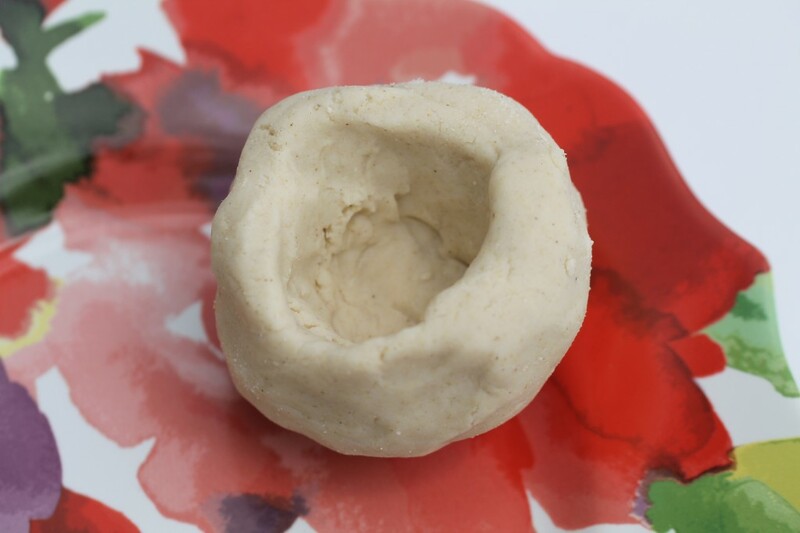 When done, close the top by pushing and pinching the open space together, so that the end result will be a completely filled and sealed dough ball. Wet your hands, press and pat each ball between your palms and flatten into a thin dough round that is about 4 inches in diameter and ¼-inch thick. Make sure the edges are nice and thin, but be careful not to press too hard so that the filling does not spill out of the sides. 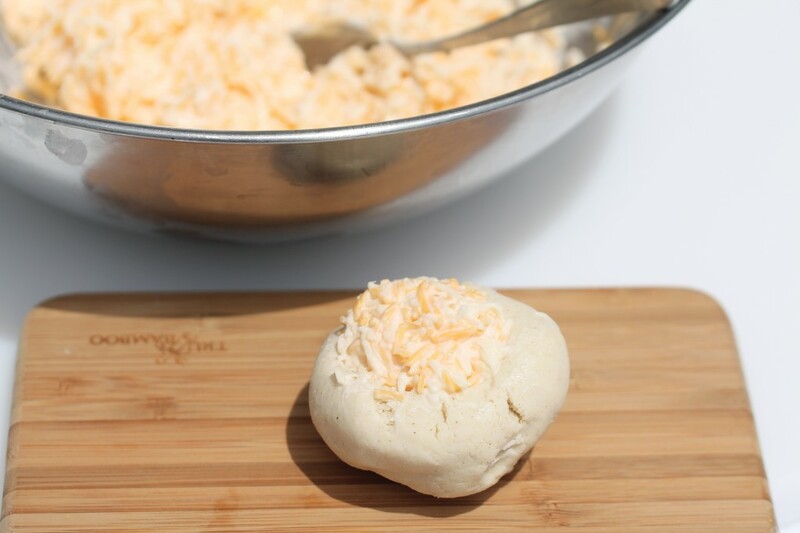 Divide the dough into 24 equal small balls. Divide the filling equally for the 12 pupusas. With wet hands, press and pat each ball between your palms and flatten into thin dough rounds that are about 4 inches in diameter and ⅛-inch thick. Place the flattened rounds on top of plastic wrap, waxed paper, or a damp kitchen towel to prevent them from sticking to any solid surface. 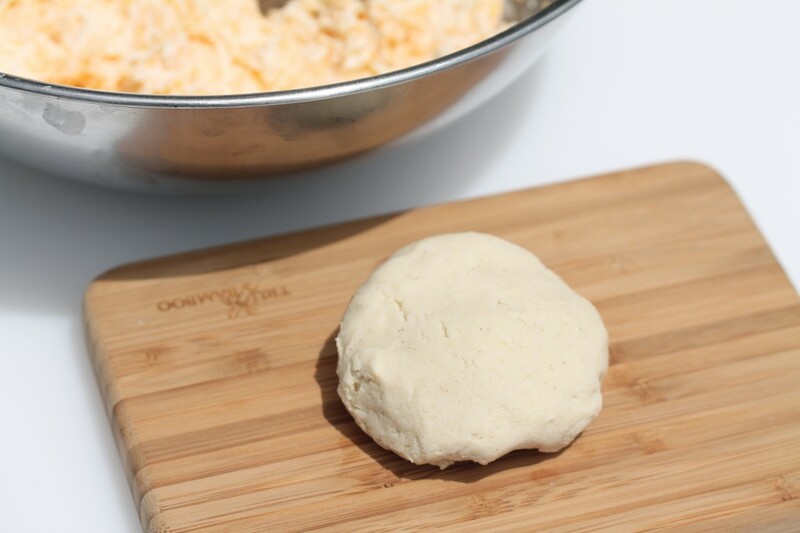 With your fingers or the back of a tablespoon spread the cheese filling evenly on the 12 flattened rounds. Cover these with the other 12 flattened rounds and seal the edges with your fingertips taking care that the edges are nice and thin. Heat a non-stick griddle or large heavy skillet over a medium to high flame. Typically, once the pupusas are formed by hand, using either method, they are placed straight onto the skillet or griddle. If you set them aside before cooking, make sure to wet your hands and gently pick up each pupusa, and pat lightly between the palms of your hands. This Recipe is a must when serving Pupusas, Crispy Fried Yuca and Pork, or Empanadas. 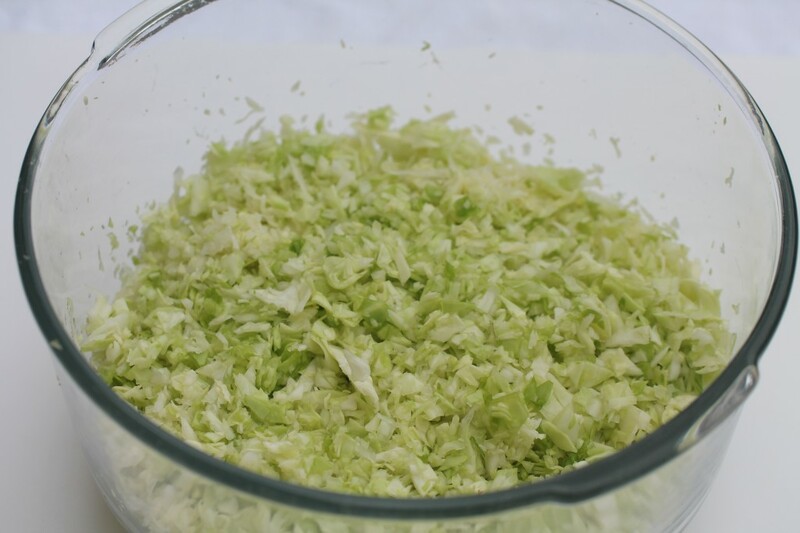 The sour pickle flavor of the cabbage, onions, and carrots is a perfect complement to savory foods. 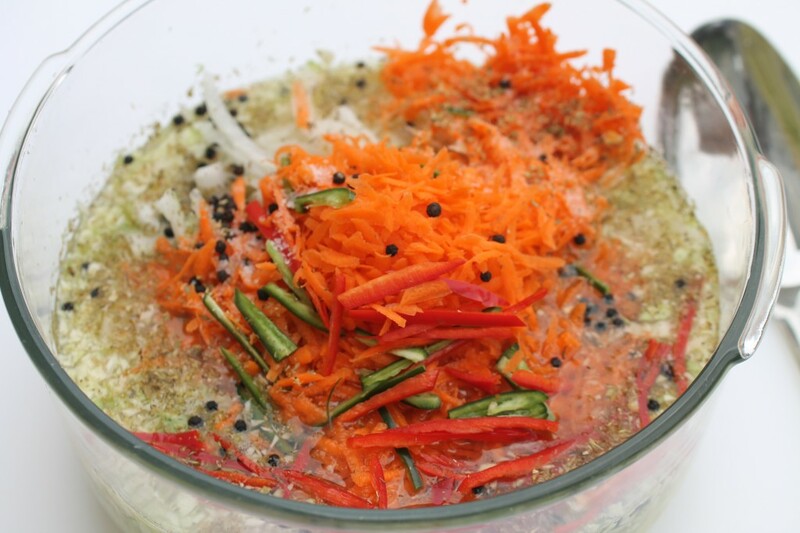 Using a large ceramic bowl or glass jar with a lid, combine and stir all the ingredients. 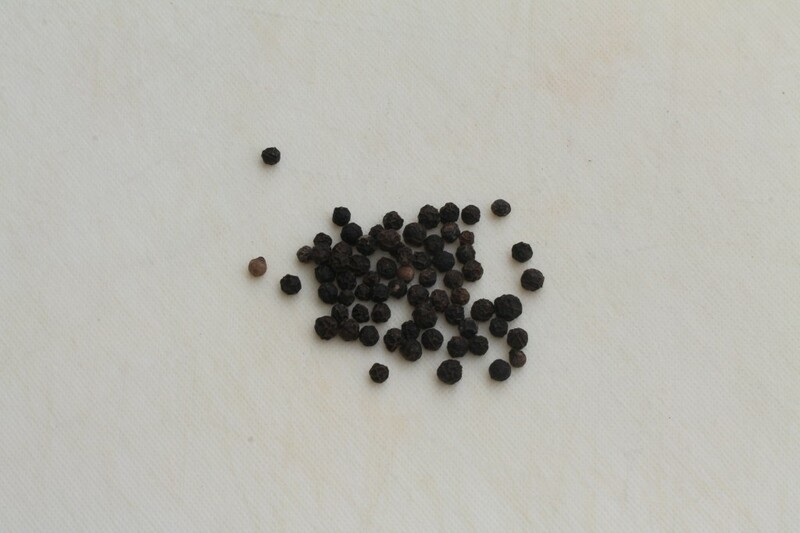 Cover tightly with lid or plastic cling wrap; marinate overnight before serving. 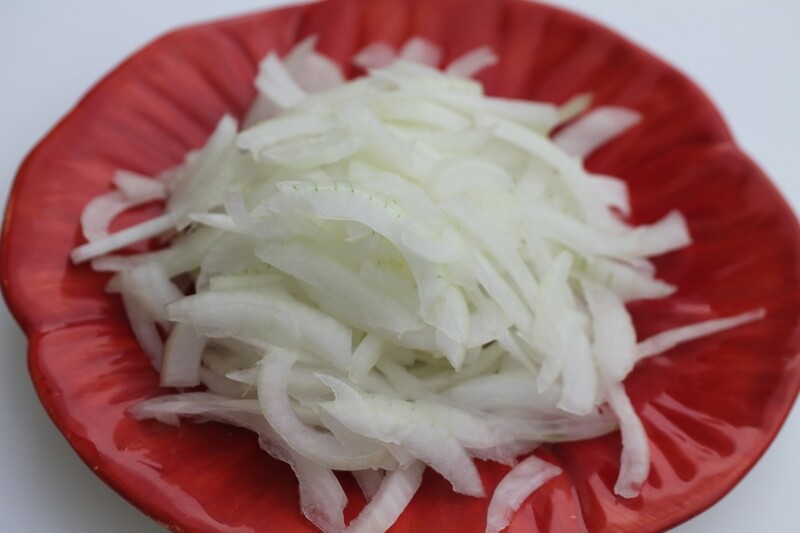 The Pickled Cabbage, Onions, and Carrots can last up to 5 days in the refrigerator. This entry was posted in Appetizers, Breads and Muffins, Cookbooks, Foods Around the World and tagged Alicia Maher Cookbook Author Delicious El Salvador, Cheese Pupusas in Delicious El Salvador Cookbook, Curtido, Delicious El Salvador Cookbook, El Salvador Curtido, Salvadoran Cheese Pupusas. Bookmark the permalink. Post a comment or leave a trackback: Trackback URL. Great post! Really details how to do this. Love papusas. Corn pancakes and cheese – yum! Thanks Phil, theregularguynyc.com Pupusas are delicious and I’m looking forward to trying more of the food of El Salvador. I looove pupusas! I wish they sold them more here in Costa Rica (youd think they would since both countries are in Central America) but I haven’t had any so far. I’ve only had ones from the states but they were delicious so I’m anxious to try the real ones! Hi Samantha, Thanks so much for joining in! The Pupusas are fantastic and it seems that everyone who has the opportunity to try them, loves them! For this I am so pleased to share the dish and recipe, wishing all the best to Alicia Maher in her work highlighting the foods and culture of her heritage through the cookbook: Delicious El Salvador! 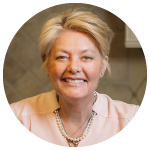 I Love Your Blog in Costa Rica too and will subscribe or such shortly, thanks so much for sharing. 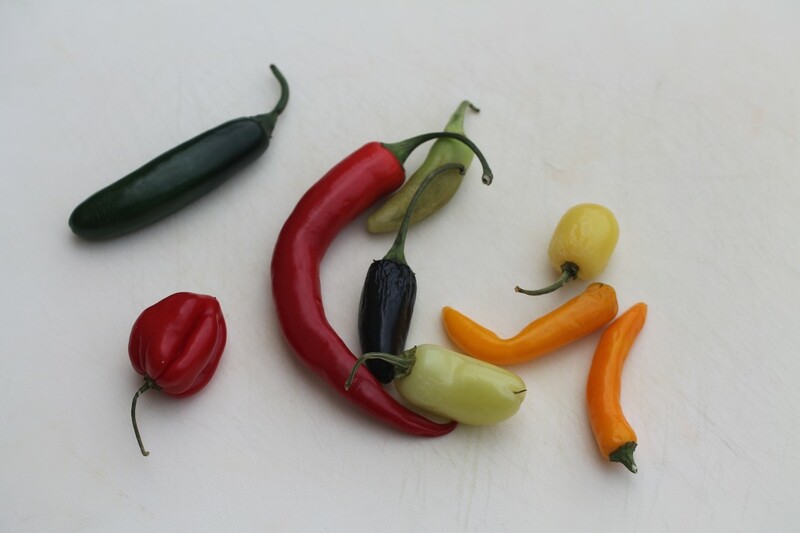 Please feel welcome to share a special recipe from Costa Rica on Spiced Peach Blog in the future!